You are here: Home / Thoughts on Success / How curious are you? Once in a while we “wake up” out of our routine of programmed robot habits and enter a learning state. This can become a a powerful “meta-skill” for change. Usually, when we speak of “curiosity” we are speaking of intellectual curiosity – the answer to questions, or the desire to “know” about something outside of our knowledge. Today, let’s use the word curiosity differently. Let’s think of it as questioning our own process in order to find new and better ways to do what we do. We can just try doing things differently, rather than looking in books or the internet. 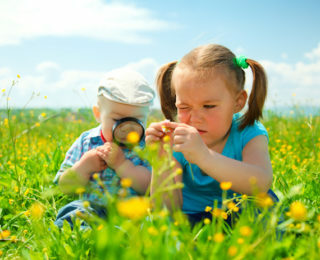 Our curiosity can be a practice of self-optimizing. Our main task is to seek out or create opportunities for monkey-wrenching our robot periodically throughout our day by choosing alternate methods of doing things, without disturbing the overall direction and outputs we are looking to create. How is such a thing possible? Simple. Almost every part of our daily activities is governed by ingrained habits or “programming”. When looking for “tweaks”, you simply become curious about how else something could be done. Ordinarily, I’ll either go to my office after meetings or running errands by whatever means of transport will get me there fastest. Although my meeting in the City this morning meant that the underground was the fastest method; I decided to see how a bus route I had never taken before would do. It turned out to be a very easy journey with none of the usual things that can ruin a pubic transport journey (too many people, too many screaming people, too many screaming children, etc.). I went up to the top deck (you know, LONDON buses – double deckers) which I hadn’t done in years. A peaceful journey, seeing a part of London I’d never seen – it put me in a decent mood to begin working. I got to my office and ordinarily I use my right hand to unlock the door and open it. I used my left hand instead. I had to slow down a little, and it was a bit fiddley with the keys (no habitual motor programs, you see?). As I felt the frustration rising, I slowed down even further to remove all unnecessary tension from my body, and opened the door. I usually hang up my jacket, place my keys in a specific spot before sitting down to start work. I noticed that I had a bit of change in my pockets, which I usually just leave in the pockets, but today I decided to create a place for the items from my pockets, and bring together my phone place, my keys, and my wallet into ONE location. This took less than a minute. I was feeling a bit fresh and frisky from the low-intensity novelty, so I decided to hack my workflow a bit for greater output with less effort. Ordinarily, I handle correspondence first thing, which can sometimes get me bogged down when too many people “need my input” (I am such a sucker… but, I’ve gotten much better at saying “gee, thanks but no thanks”). So I just started on MY outputs and putting my freshest energy on this produced swift and decent results. As evening creeps in, I ordinarily switch on the overhead lighting and the wall lighting at the same time and not give it a second thought. Today, I hit the wall lights first, then switched them off and switched on the overheads. There are countless ways for you to improve, and create novelty for your system to adapt to. You can change what you sit on, where you sit, where you work, create stations for different kinds of work; you can change which hand you hold your fork with, which side you place your working materials on, and so forth. Switch the order of play for certain activities to see if you can improve your results. This is not rocket science; it’s micro-mischievousness with your habits that builds your willingness and ability to adjust. When you turn this to your workflows it can easily help you radically improve the quality of your outputs. You can change your routes to various places, your mode of transport; you can change the order in which you do things (coffee SECOND, instead of first action of the morning)? You can change the order in which you eat a meal – try dessert first (but make sure you leave room from those yummy vegetables! ), then appetizer, then main course. You can change your exercise routine, take a class in an exercise form you ordinarily would not do if your life depended on it. Large or small – the possibilities are endless. If you DON’T do the dishes as soon as you use them; do the dishes as soon as you use them. If you do the dishes as soon as you use them, don’t do them til later. Drink milk in your tea? Switch to lemon instead. Drink Earl Grey? Try something else. While entertaining a corporate client, his wife, and a couple of friends; while looking at the dessert menu, my client’s wife sighed and said “They all look so tempting, I wish I could try all of them…” which sounded like an interesting new thing to try, so I ordered all 9 of the dessert items, and we passed them around between the five of us. Not just DOUBLE DESSERT, but NINE DIFFERENT KINDS OF DESSERT. Ah, gluttony… what a marvelous sin… and a very happy client and his Mrs. Try 5 new habit tweaks per day for one week. See if you can spark the old curiosity to greater heights. Maybe it will take two weeks… why not?